Suneil Koliwad received his B.S. in Psychobiology from The University of California Los Angeles in 1992, and his Ph.D. (1995 in Molecular Physiology and Biophysics) and M.D. (1999 with high honors) from Baylor College of Medicine in Houston, TX. He then did a residency in Internal Medicine and Pediatrics at Baylor College of Medicine, finishing as Chief Resident in 2002. Dr. Koliwad arrived in San Francisco in 2003, and trained in Endocrinology at UCSF from 2003 to 2006. He completed a postdoctoral fellowship at the J. David Gladstone Institutes, where he developed an expertise in the fields of lipid metabolism and macrophage biology. He became an Assistant Professor of Medicine in in the Diabetes Center at UCSF in 2011 and holds the Gerold Grodsky, PhD/JAB Chair in Diabetes Research at UCSF. He is also a member of the UCSF Biomedical Sciences (BMS) Graduate Program and of the UCSF Liver Center. He is a Board-Certified Endocrinologist, Internist, and a specialist in thyroid ultrasonography. Dr. Koliwad is a member of the American Heart Association, American Diabetes Association (ADA), Endocrine Society, and is President of the San Francisco Bay Area Community Leadership Board of the ADA. Dr. Koliwad has received many accolades for his clinical and scientific teaching and places a high value on positive scientific and career mentoring within his laboratory. He was recently selected to take part in the UCSF-CORO Leadership Program for Scientific Investigators, and is actively engaged in promoting individual development and successful group dynamics within this laboratory. He has several active grants and has received several awards targeting early career investigators. 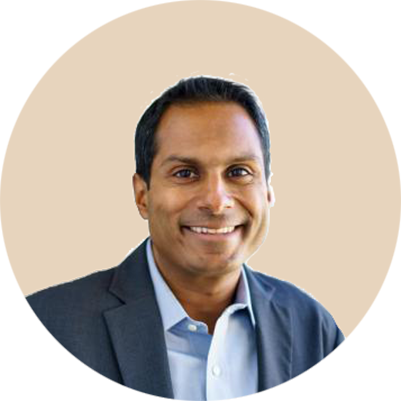 Dr. Koliwad’s areas of scientific expertise include lipid and energy metabolism, inflammation, innate immunity, and neural circuits controlling appetite and peripheral metabolic pathways. Apart from science, Suneil’s passions include his family, travel, movies, baseball, and collegiate sports (Go Bruins! ).